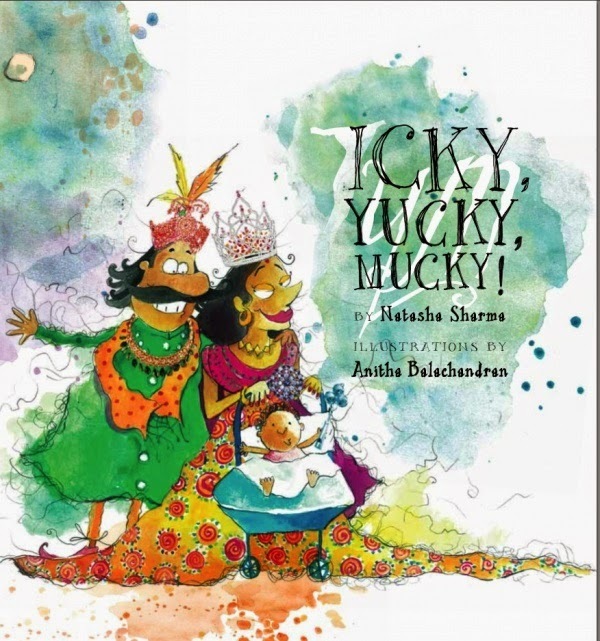 Little Medha Growing Up: Book Review : Icky, Yucky, Mucky! Book Review : Icky, Yucky, Mucky! Few days back, I happened to see this book cover picture in one of the posts by LittleReader'sNook that they are going to read this book in their Story Session happening in Mumbai for "Just for Laughs" theme. I was impressed with this as I never used or taught those words to Medha. So I ordered this book online. This is exactly what the title professes to be - ick, yuck and muck! A simple tale of King Icky and Princess Yucky, and how they met and get married, and their mucky daughter. The great king of Ickhtarpur, Maharaja Icky as he was called, was known to have the worst table manners ever seen. Basically this is a story about the dirtiest, ickiest king ever to be born, and his worst table manners, juggling rasogullas, speaking with his mouth full as he splutters food all over the table and drinks up his rose scented water from the fingerbowl. 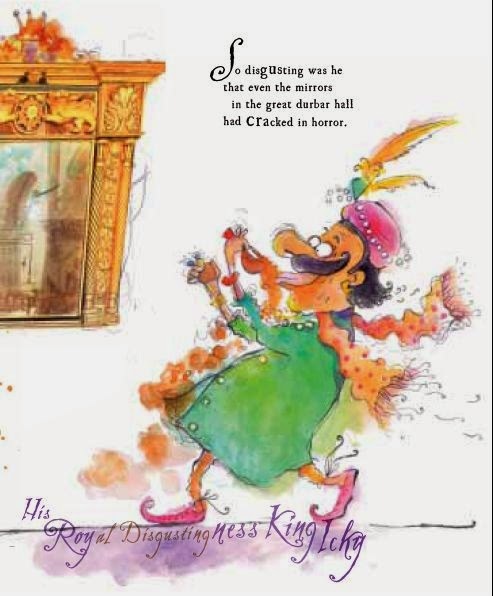 Now King Icky has been on the lookout for a suitable bride but his manners have led to many a princess fainting on sight, which obviously doesn't portend well for the future of any marriage. And then fate introduces him to King Dukhiman's daughter Princess Yucky, artlessly hidden by a pile of her own bitten nails. King Icky falls madly in love with her, for who else but the Princess would understand him, and his true self. He asks for her hand in marriage, and King Dukhiman agrees and gets them married off immediately, lest King Icky changes his mind! Banned from using spoons or nail cutters, the people of Ickhtarpur are at their wits’ end. But their hopes rise when the announcement comes that the Maharani is expecting a little baby. But what happened at the end?? Why the Kingdom of Ickhtarpur gives up all hope of ever being clean. Scrumptious Illustrations in each and every page. Every bit of page and story makes you and your kids laugh. This is truly one of the most disgusting books I have read so far to Medha. 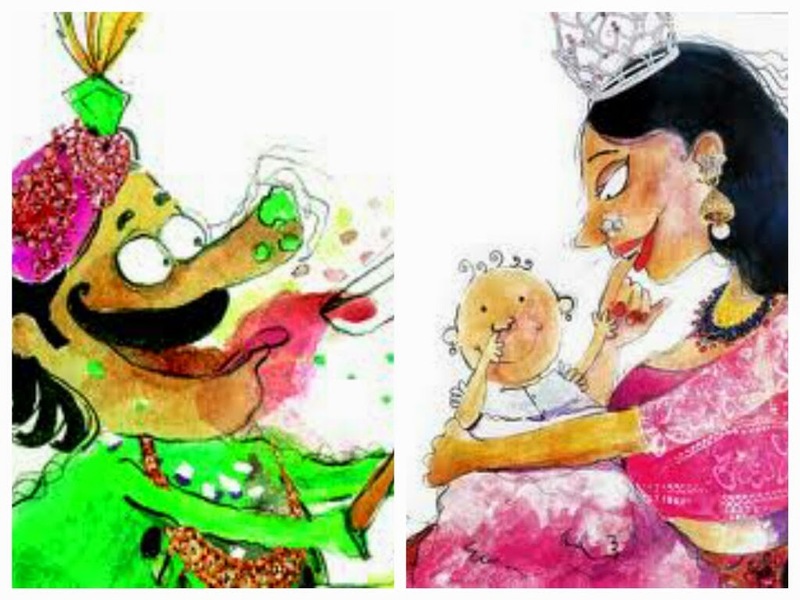 An absolutely delightful storybook which will be a sure-shot hit with young kids. They will relate themselves with some of the naughty actions by Icky, Yucky and Mucky . 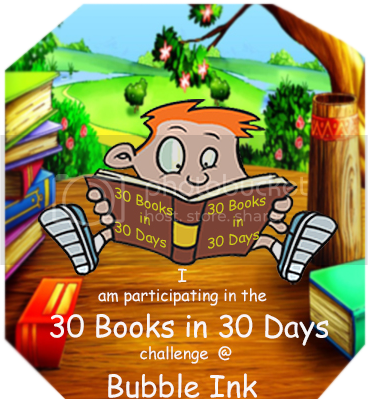 This book also talk about good habits and what are not good table manners. She loved cover of the book in the first glance. And rasogullas at the back cover of the book. She learnt some new vocabulary. And since then we read this book, whenever she eats food, she talks about Maharaja Icky and his bad table manners. I should thank Devaki and LittleReader'sNook for introducing me to this book.